Last summer I’d just put the finishing touches on a short story when the idea for a new story was brewing. I was in the early planning stages, uncovering the characters and developing their stories. I had a solid plan of where the plot would take them. Then suddenly, out of nowhere, I refused to think about these characters. I started resenting them, even though they weren’t fully formed on the page. I didn’t want to open the document on my computer. And it wasn’t just this story that was the problem. I didn’t want to start developing a new story either. I didn’t understand it at the time, but I was burned out. Is it writer’s block or writer’s burnout? The root cause of writer’s block is distraction. While it may seem that you can’t come up with a viable story idea or you may grapple with what to write next, the problem is the inability to push past the resistance without getting restless or anxious and binge watching Marvelous Mrs. Maisel. Writing is uncomfortable, and it’s often a test of endurance, waiting out the seemingly intolerable stretches where we feel we can’t get words on the page. Writer’s burnout feels like you’ve sailed your writerly boat out of the cove of tranquility, right into a storm of negativity, and now you’re exhausted, adrift in the sea of despair, heading for the rocky coast of disillusion. Your boat springs a leak and you’re taking on water, but something in you refuses to bail. You raise the white flag of surrender and determine to go down with the ship. It took time, but I was able to overcome writer’s burnout and reconnect with something I love. You can too. You can raise your sails and chart a new course for the isle of productivity. Keep writing. Maybe the idea of crafting a story with a beginning, middle, and end is filling you with dread, but even if you can’t see your way to a story, maintaining a regular writing practice is important. It’s necessary to continue to see yourself as a writer. Look for an easy entry point: journal entries, blog posts, morning pages—they all count. Find a hobby. When you’re all-in with writing, it can feel all-consuming. Reconnect with a pastime you once enjoyed or follow your curiosity into something new. For me, it is bird watching. I love listening to bird song and watching birds fluttering from branch to branch. Let a hobby take your mind off of writing for a while. Spend time outside. Nature is the magic elixir. It heals and restores. It eases stress and worry. It never fails to help me re-evaluate my priorities. Be kind to yourself. You are going through a rough patch, but you are not a bad writer. There is nothing wrong with you. 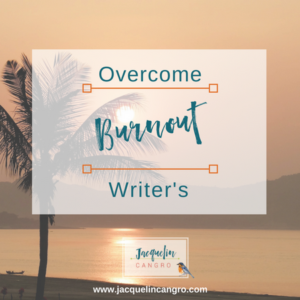 What would you say to a fellow writer suffering from burnout? Say those kind words to yourself. Pay attention. This is one of the best ways to refresh your writing ju-ju. Draw inspiration from the world around you by following your curiosity. I record my observations with photos and journal entries using weekly themes (color, size, shape, etc.). This has helped me focus and be attentive to my surroundings in an engaged way. I’ve been posting my observations on Instagram. Reset your expectations. Were you sure that by now you’d have had a piece published in the New Yorker? A book deal? A Pulitzer? This isn’t a race. You are on your own timeline. Remember why you write. What drew you down this path in the first place? Maybe, like Flannery O’Connor, you write to discover what you know. Maybe you write for connection, innovation or inspiration. Maybe you write to create something or to change things. Whatever the reason, start there. Find an accountability partner. Sometimes you need someone who can encourage you, help you focus, and ease you back into the rhythms of your writing practice. I can help with that! My 1:1 writing coaching program might be just the thing! If you’re feeling frustrated and unsure if your words matter, I’m here to tell you they do! Try some of these tips to help you overcome writer’s burnout. And if you have a tip not mentioned above, one that has helped you or someone you know, please share in comments. Great post, Jackie. 🙂 The distinction between “burnout” and “block” is important. In my mind, they tend to get mixed together. During a “burnout” period, I discovered photography and I’ve used it to find stories. It has rekindled my love of “the story”–regardless of its form. It has also sparked my return to writing. Great advice. Thank you, Patti! I love that you discovered photography as an outlet to fuel your creative expression. It has served you well — you’re a wonderful photographer! Your images tell compelling stories. Great tips, Jackie. I find that major stress kills my creativity and I just have to ride it out. Taking a walk in a beautiful setting helps a lot, and you’re right about doing something completely different. I’m curious–how do you like “Less”? I was about to order it, but looked at the Kindle sample and the formatting was kind of rugged. Are you reading a hard copy? Less has been one of my favorite books of the year so far! It’s witty and funny, but also quite moving. I’ve been recommending it to everyone. 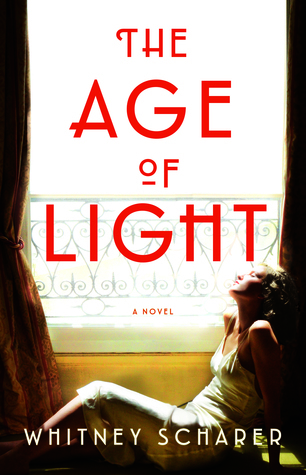 I listened to it as an audiobook — the narrator was terrific. I hope you enjoy it as much as I did! I have found that walking away from my writing and getting into my body–gardening, dancing, walking the dog–helps! We live in such a virtual world and I think it is easy to get lost in the ether after awhile:). Definitely! Moving my body and getting out of my head — anything not word related — really helps me too.